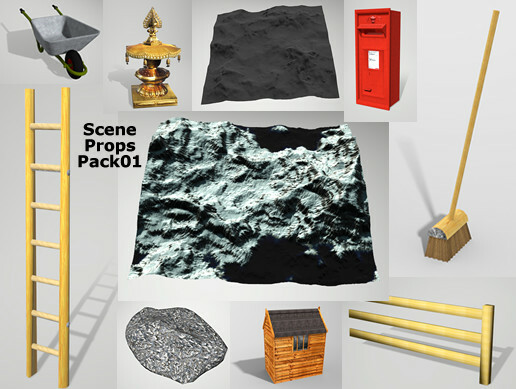 A selection of models that add to your scene, the 'something is missing' items. All Maps are supplied, along with Materials. Some materials may have additional maps for enhancement.